It’s the 2nd ODI match of New Zealand vs India one-day international series. The live streaming will be available on Hotstar. The fans who want to watch it on TV, they can do so on the Star Sports Network on Wednesday, January 26, 2019 that is Republic Day of India. The cricket match will start at 7:30 am IST. The men-in-blue got the perfect start in the series by winning the first of total five matches in the schedule. Now, the India national cricket team would want to tighten any loose ends left to completely conquer the struggling New Zealand side. They would be getting ready for a spin attack on the Kiwis. The home team couldn’t stand in front of the spin-duo – Kuldeep Yadav and Yuzvendra Chahal. Mohammad Shami appropriately supported them. The hosts looked kinda faded knowing that their opposition has come after a successful tour of Australia. They also know if they want to beat an in-form Indian team, they will be required to put more than their 100% efforts. The sun didn’t let the match to continue for around 30 minutes on Wednesday. In the series opener, Kuldeep and Yuzvendra took six wickets in total. They will be looking forward to repeat the same performance in the IND vs NZ second ODI match. India haven’t finalized their middle order lineup for the 2019 World Cup. But, they aren’t likely to do a change in their playing eleven this time, atleast. Earlier, the Committee of Administrators (CoA) had suspended Hardik Pandya and KL Rahul. But now, the interim suspension has been revoked, and both the players will join the squad from the 3rd ODI onwards, probably. The team management picked all-rounder Vijay Shankar to play in the previous game, they can now recall Ravindra Jadeja depending upon the conditions. Ambati Rayudu would be given another chance after remaining unbeaten 13 for 23 balls. He didn’t have a productive time in Australia tour. One good news for team India is that Shikhar Dhawan was seen getting back to his form in the first one-day against New Zealand. Shikhar made unbeaten 75 which contributed a significant amount to the team’s victory. Indian skipper Virat Kohli appreciated his performance after getting a eight-wicket win. After Virat takes a break following third ODI, we may get to see more chances. It would create places/opportunities for players like Shubman Gill who is about to make international debut. The Kiwi pacer Trent Boult accepted that they were outplayed on that day and batsmen have to improve their performances to put a significant target on the board, and then see how it goes from there on. It appeared as if captain Kane Williamson was on another surface while fellow batsmen were struggling at the other end. Shikhar Dhawan, Rohit Sharma, Virat Kohli, MS Dhoni, Kedar Jadhav, Dinesh Karthik, Vijay Shankar, Bhuvneshwar Kumar, Kuldeep Yadav, Mohammed Shami, Yuzvendra Chahal. Colin Munro, Martin Guptill, Kane Williamson, Ross Taylor, Tom Latham, Henry Nicholls, Colin de Grandhomme, Mitchell Santner, Ish Sodhi, Tim Southee, Trent Boult. 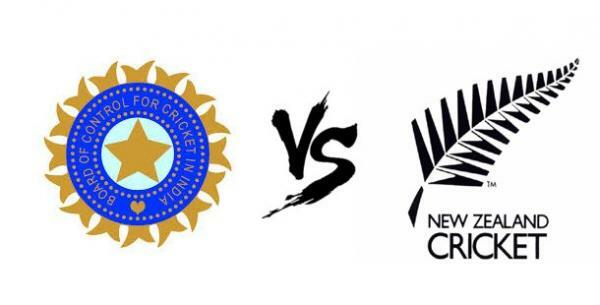 India vs New Zealand Match Predictions: Who Will Win? India is expected to win and lead the series by 2-0.